How we love to laugh at any modern-classical/ambient project that comes our way. Strings and piano, again? Hah! ‘You’ve got to be kidding me...’ It’s only when something really high-brow comes along that we withhold our almighty judgement: something that pushes itself so far from any recognisable trait that we’re forced to admit that yes, this is suitably new. See, in this little corner of the musical world emotional indulgence is often looked down upon; whereas if you were to take the trip over to folk, indie, rock and all things in between you might see that the opposite is the case. Perhaps it’s something to do with the often pretentious world of classical music, or maybe it’s more to do with the increasing number of pretentious people (such as your reviewer for this evening) who inhabit this world. So in this plane of sugary sweet strings, it’s safe to say that we know darkness. We know the artists who admit to taking every possible measure to dive for the heartstrings time and time again without a thought towards the notion that music can be so much more than that. At the same time, it takes knowing this to truly appreciate the artists who don’t. 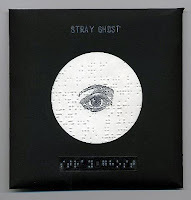 And when artists like Stray Ghost appear it’s incredibly difficult to not prick up one's ears and listen, as Those Who Know Darkness See the Light. Forced? Yes; but in the reflective haze this album shrouds us in it’s hard not to at least take the odd stab at intelligence. Stray Ghost has crafted music that personifies the very essence of reflection. Slow; looping; quiet: the piano will ring down with such soft force that you’re affected deeply without even realising how you came to be so moved. Meanwhile, the background plays host to a range of subtle effects that serve to give the piano that little bit of edge, whether it be sorrowful or fearful or simple calm and relaxation. This is not your by-the-numbers wail of strings, then. There are no crescendos. But at the same time Those Who Know Darkness See the Light doesn’t put too much effort into venturing beyond the familiar. This isn’t to discredit the album -on the contrary, it’s remarkable that the album still manages to be so effective within these boundaries- instead, it’s the mixture of familiar indulgence and this finely-woven intelligence that makes the album what it is. Namely brilliant. I guess this is all we can expect from an artist who’s taken the step over from drone ambient. This love of reservation and subtlety that really embodies that particular segment of music is something left clearly on display here, with pieces like ‘Music for Robert Walser’ progressing almost entirely around a low, ploding piano sequence. Likewise, ‘The Time Spent Chasing Lost Daylight’ is so powerful, not because of any frontal outburst, but from a quiet whimper: barely distinguishable. So by it’s very nature, Those Who Know Darkness See The Light faces several challenges both in terms of the saturation of the genre and the growing cynicism of its followers. 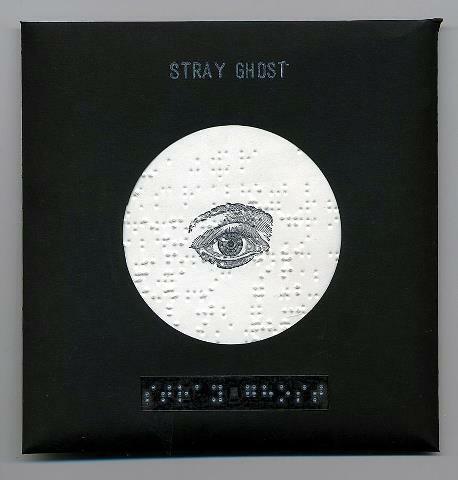 But Stray Ghost has more than demonstrated that he’s got what it takes to distinguish himself, he’s also brought with him an entirely personal and refreshing style. While reaching an almost blissful peace at times, a life-changing album this is not; yet I don’t think it’s trying to be. What the album is, is precious: something warm and calm that easily fills that little bit of ambient-space in all of us. Cherish it. But how about hitting like on Stray Ghost's Facebook page first? Why call classical "pretentious"? What does this mean?